Just a short trip over the water in the town of Middelburg (Zeeland, the Netherlands), chef Edwin Vinke (De Kromme Watergang) and musician Paskal Jakobsen (BLOF) embarked on an exciting and challenging new restaurant concept, with Quatre Mains in tow. Our passionate, straight talking, food loving client charged us with a brief to create a visual identity and communication tone-of-voice for this atypical foodie paradise. Edwin and Paskal shared an ambition to transform the well-known Krommewatergang café into a dining destination that exuded passion for fine-food whilst remaining laid back and approachable. This down-to-earth, accessible to all, hard-working attitude became the Hard & Ziel philosophy as we know it. Hard & Ziel (Hard & Soul) is a brand that is not afraid to tell it like it is, hence our typographical and communicative approach to this visual identity. Using a local dialect inspired tone-of-voice as a platform for creation, we decided to let each touch-point talk to the consumer directly. From beer mats who ask you if you’re thirsty to wine labels reminding not to drink too much, to take-away wrapping paper that is in itself a word-search, every opportunity was taken to let the design do the talking. Based on a strict colour palette of black, white, copper and deep green, our identity also informed and inspired the interior design of this café/restaurant itself. These identity elements were made specifically to be able to stretch across multiple formats from paper serviettes, to beer bottle labels, to restaurant signage, to website and other online necessities. 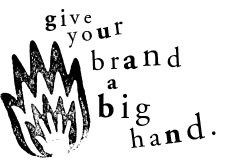 Like our passion for brand and packaging, the Hard & Ziel promise is an ideal we can definitely believe in.